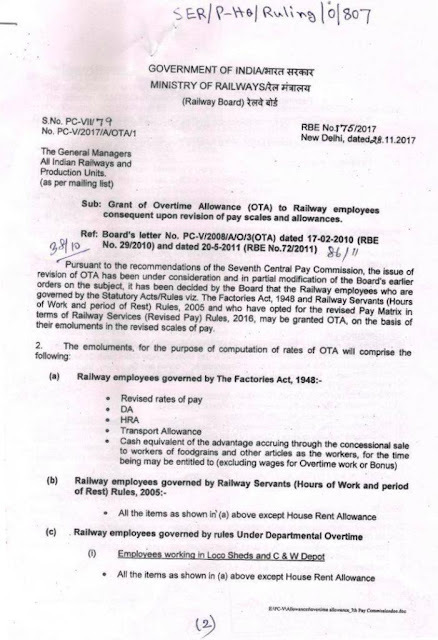 Sub: Grant Of Overtime Allowance (OTA) to Railway Employees consequent upon revision of pay scales and Allowances. 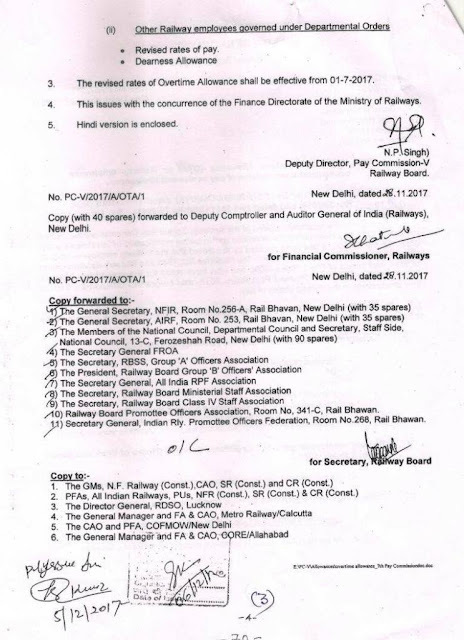 Pursuant to the recommendations of the Seventh Central Pay Commission, the issue of revision of OTA has been under consideration and in partial modification of the Board’s earlier orders on the subject, it has been decided by the Board that the Railway employees who are governed by the Statutory Acts/Rules viz. The Factories Act,1948 and Railway Servants (Hours of Work and period of Rest) Rules,2005 and who have opted for the revised Pay Matrix in terms of Railway Services (Revised Pay) Rules,2016, may be granted OTA, on the basis of their emoluments in the revised scales of pay.